John Hilary White, III "Jr"
Services will be held December 29, 2018, at Denton-Wood Funeral Home Chapel at 10:00 AM. John H. White III (Jr.), 61 years old, passed away peacefully at home on Tuesday, December 4, 2018. He was born on April 11, 1957 in Carlsbad, NM to John H. White II (Buddy) and Lottie Bea White. His early years as a child were spent on the family ranch in Dark Canyon, behind the Pointed Hill, at the family’s headquarters. There, the large family of five kids lived the true American ranch heritage and dream. He graduated in 1975 from Carlsbad High School, with his greatest accomplishment coming from the welding vocation and program. He was the state champion welder from New Mexico, where he also went on to place nationally in Washington, D.C. with his talent under the tutelage of Mr. Lunsford. After high school, Jr. was a cowboy/ranch hand for a few years, before welding with Richard Pettitt in the oilfield. He went to work for the City of Carlsbad in the early 80’s, going to work and living in Loco Hills for a few years on the Double Eagle water system for the water department. 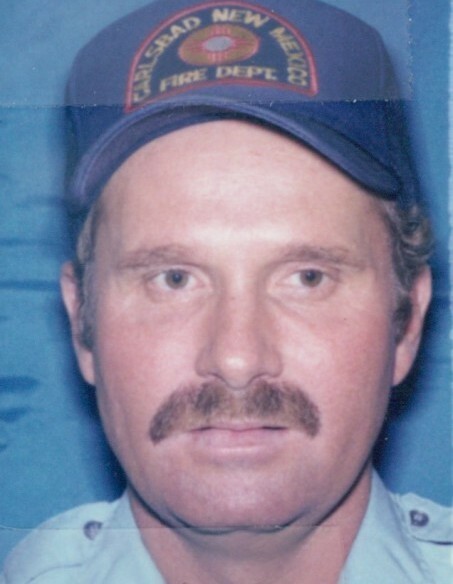 He later joined the Carlsbad Fire Department, where he worked for many years before retiring in 2002. In that, he became part of the brotherhood of firefighters. That career-wise, was his greatest point of pride. This was made obvious by walking into his house and noticing the shrine he made of firefighting memorabilia. He enjoyed hunting and fishing, and was an avid outdoorsman. He was a great craftsman, woodworker, and carpenter. He also is credited as a wind miller in his early years, and a trapper as a way to make income. Jr. was preceded in death by his parents, Bea and Buddy White. He is survived by his son, John H. White IV and wife Stephanie of Carlsbad, NM, daughter Kelli White of Lubbock, TX, and son Kristopher White of Carlsbad, NM. Also, he is survived by his sister Debby Pierce and Bill of Loving, NM, brother Roy White and wife Leslie of Carlsbad, NM, brother Kenny White and wife Shawna of Silver City, NM, and brother Dennis White and wife Tammy of Carlsbad, NM. Grandchildren survived are Adrian, Aubrey, Addyson, and Ashlynn White. Numerous cousins from his Walker and White kin are plentiful as well in survival that were very dear to him. And lastly, he was survived by his loving pet, Cholo.